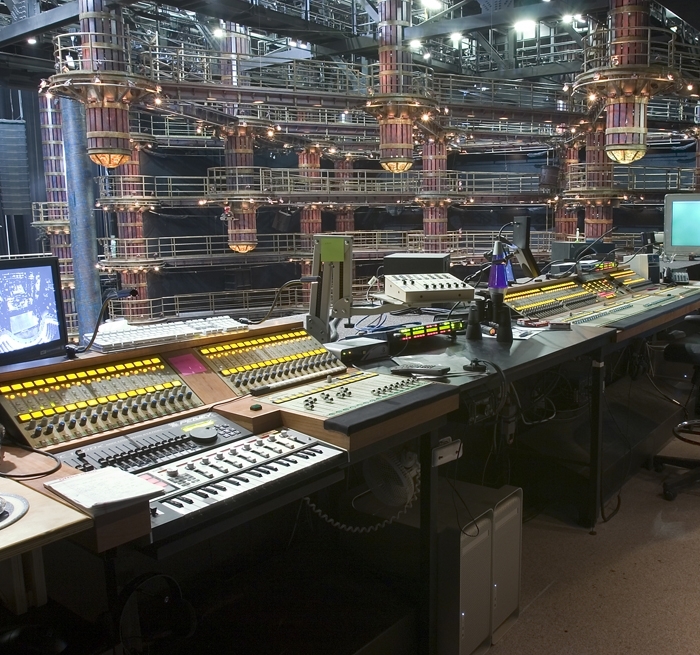 In renovating the MGM Grand Theatre for Cirque du Soleil’s fourth permanent venue, featuring the production KÀ, Auerbach Pollock Friedlander was called upon to provide audio-video and theatre consulting in the implementation of Cirque du Soleil’s design of the space and the development of theatrical systems to support the production. 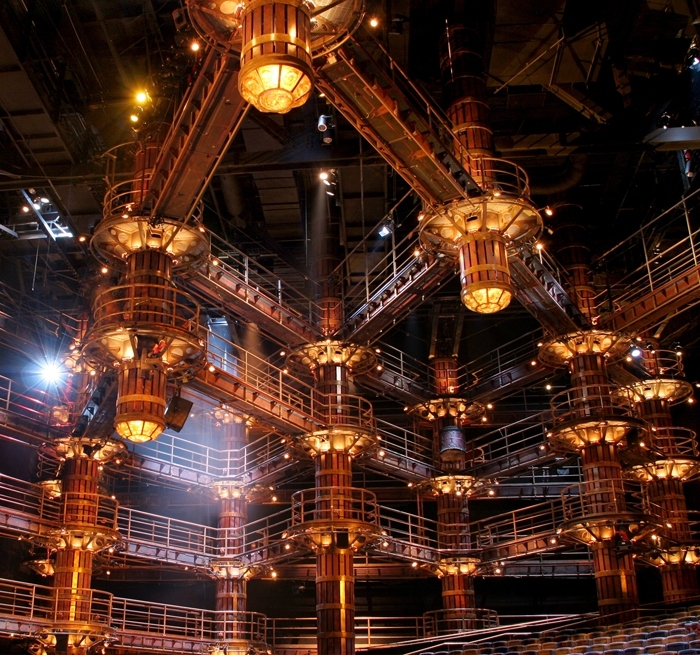 The show takes place within a 50’ deep cavity filled with moving scenic elements. 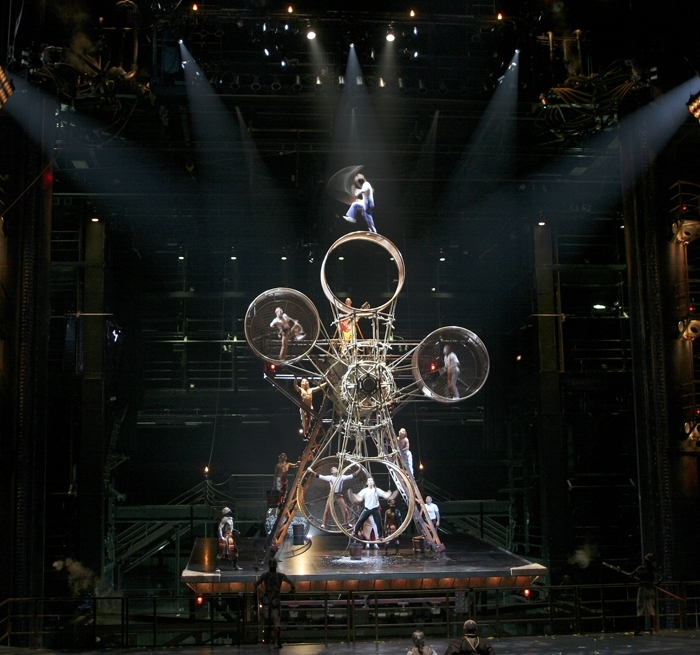 The performance extends beyond the stage into the audience volume, creating total integration of audience, performers and theatrical technology, challenging the limits of stage design. 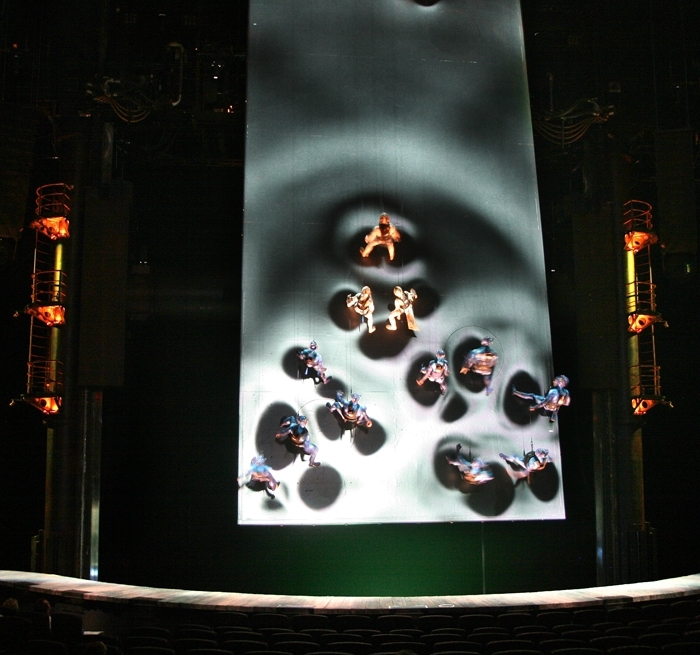 Extensive sound, video and production communication systems, designed in close cooperation with Cirque’s audio staff and production sound designer were key to the success of the show.